In recent years, healthcare has experienced dramatic change, extraordinary competition, and increasingly complex regulation in addition to high political visibility. With the advent of Affordable Healthcare Act this entire industry is going through the above mentioned changes in a hurry. This $2 trillion industry is broad and complex consisting of healthcare providers, managed care operators, various kinds of vendors – supplies, services, medical products and medical devices, in addition to patients and payers (employers in many cases). 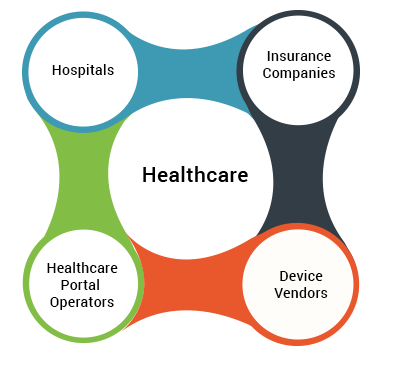 Xoriant has provided software product engineering services to various components of the healthcare industry, including hospitals, insurance companies, device vendors and consumer facing healthcare portal operators. More specifically, Xoriant has helped several vendors in the above mentioned areas with projects in health care plan comparisons, health care exchange, software for imaging systems, testing for embedded medical systems, HIPAA transactions, compliance management, medical IT system management, hospital capital expenditure management, etc. Furthermore our teams are well versed in developing and testing software adhering to FDA and HIPAA regulations. Health Insurance – Plan Aggregator: Xoriant helped a health insurance provider provide timely aid to their customers by building their entire technology stack to present aggregated health plans. From helping customers select the best health plans to managing customer information, increasing operational efficiency and decreasing turnaround time and costs, Xoriant brought its expertise to the fore to fulfill requirements across the spectrum of health insurance information management for this provider. © 2019 Xoriant Corporation. All Rights Reserved.